What handyman service would you like? We have a handyman ready whenever you need them. We’re always happy to answer your questions and offer you our expert advice and recommendations. Whether it’s mounting a large flat screen TV on a wall, hanging a new set of shelves, repairing damage to walls, or simply realigning your kitchen cupboard doors, we’re here to help. Our handyman services can be booked in half-hour increments, with a minimum of 1-hour. If you’re not sure whether you need a handyman or another skilled tradesmen simply call us, we’re happy to advise on the service that’s best for you. We’re fully trade accredited. Aspect is a member of The Guild of Master Craftsmen and the Painting and Decorating Association (PDA). When you book an Aspect handyman you can count on getting the professional expertise you’re looking for. As you’d expect from one of London’s largest team of property maintenance companies, we’re sure to have an experienced handyman available to get the odd jobs done in your property. We’ll aim to get someone to you quickly wherever you are in London. Our field-based support managers assess the quality of our tradesmen’s work continuously. We encourage our tradesmen to constantly develop their skills. Their ever-growing knowledge and insights benefit the needs of our customers. 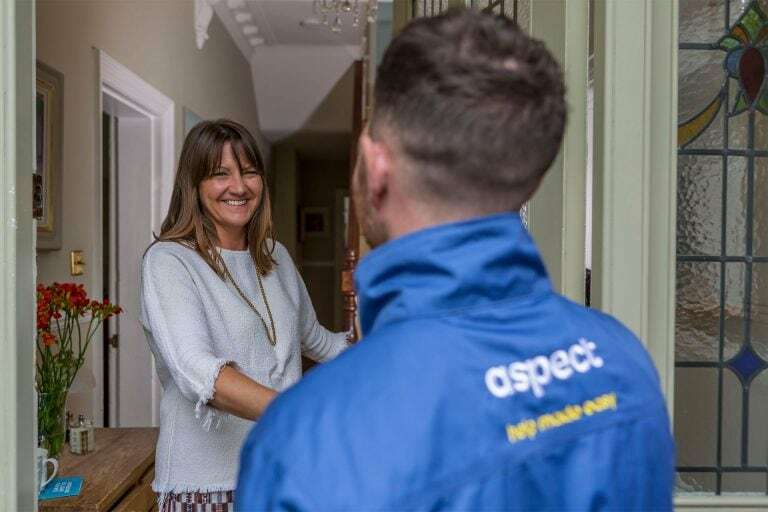 As with all our trades, our handyman service come with the Aspect Guarantee. This covers workmanship on all handyman services for up to 12-months. How many times have you thought about fixing the same problem in your home or office, but never actually get round to getting it done? Most people can make a list of at least ten things in their homes that need fixing. Some of these things have been there for so long they’ve been forgotten about. Our handyman service is the perfect way of finally getting those jobs done. 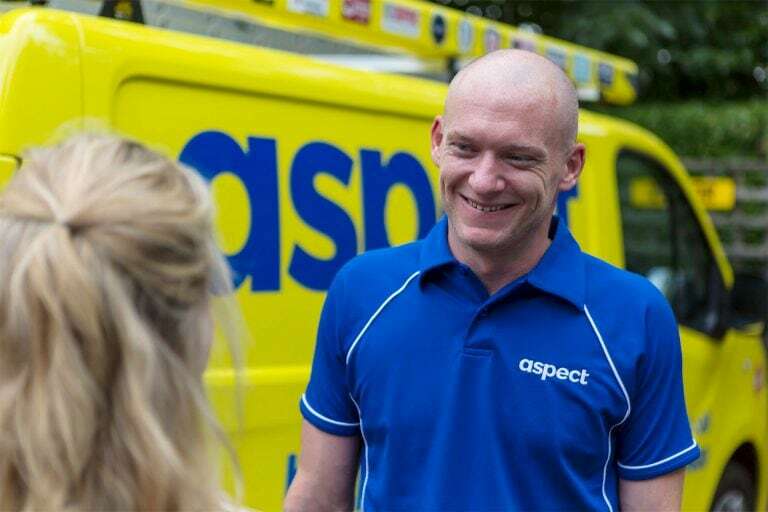 Every handyman working for Aspect is multi-skilled. With years of experience they can fix and repair almost anything around your home. As a guide, our handyman services are available to book in all 32 London boroughs and the City of London, as well as every other postcode district that’s within the M25. If you need a handyman just outside the M25 we might still be able to help. Call our scheduling team to check availability. They’re ready to take your call 24-hours a day, 365-days a year.